Like a portal into the mysteries of the sea, your Encore ladies ring exudes depth and mystery. 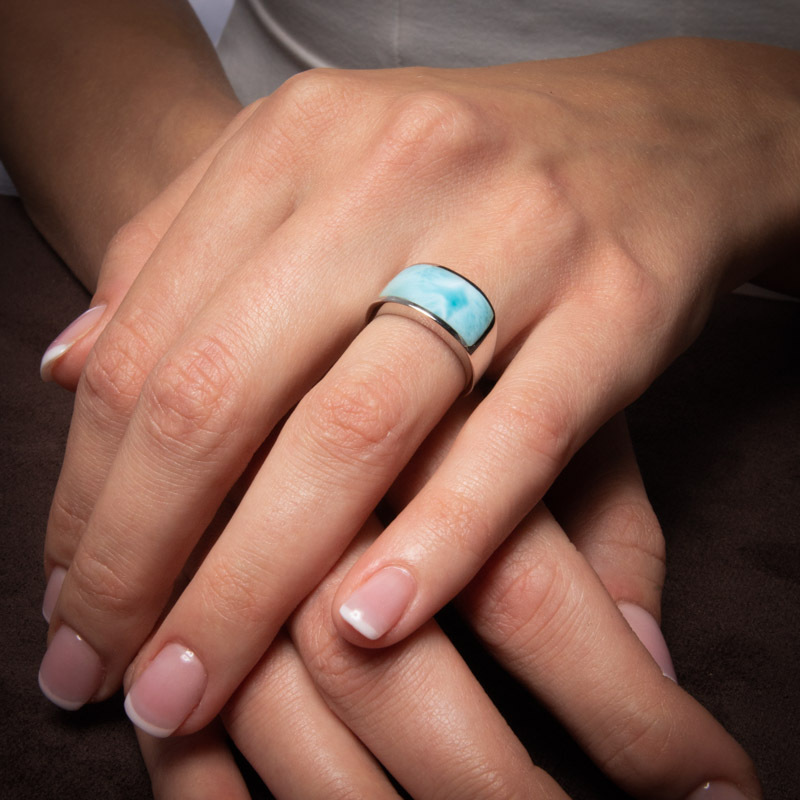 Look into the single curved larimar gemstone and get lost in it! Stunning! Product Details: 9x19mm larimar gemstone and sterling silver.